Here on our first edition of #CultReads - we recently came across a new book about beauty ‘inside and out.’ And we can’t (x2) put it down. Eat Pretty is about looking beautiful on the outside by putting the right things into your mouth, and we aren’t talking teeth whitening (though we love that too) - we are talking about all of the nutrients found in food that make you radiant. This book is written by Jolene Hart, a beauty editor turned health guru after working in beauty for years and years and still not feeling as beautiful as she could be. So, she breaks down exactly what one needs to do to be and feel beautiful, and to do it by eating (pretty). 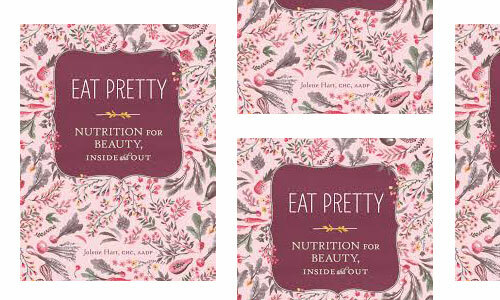 While cult products are our jam, learning how to Eat Pretty is never a bad thing to add to the repertoire.